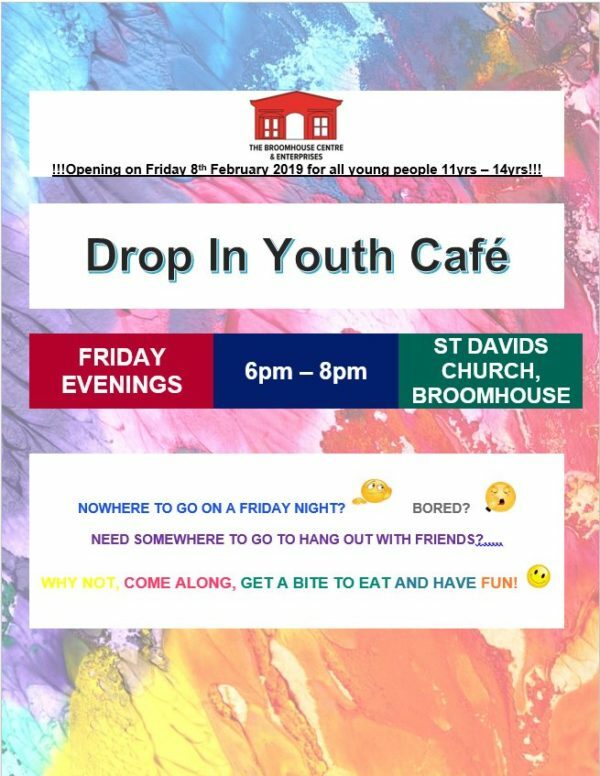 The Broomhouse Centre will be holding weekly Drop in Youth Cafe at St Davids Broomhouse Church on Friday evenings, 6.00pm – 8.00pm. The drop in is for all young people aged 11 – 14 years old. Head along have a bite to eat and have fun. For more information contact the Broomhouse Centre on 0131 455 7731 or admin@broomhousecentre.org.uk.